When The Earth Was Still Flat by Brother Spellbinder begins with Speed of Sound, a deliberate track that builds upon the folk and sixties/seventies pop-country of Nancy Sinatra and Patsy Cline. A very honest and timeless sound acts as the backdrop for these vocals to rest upon. Follow Me has the vocals contribute to the overall narrative of the track while providing further depth tot he instrumentation. The overall sound of Follow Me feels influenced by The Velvet Underground and Joni Mitchell. 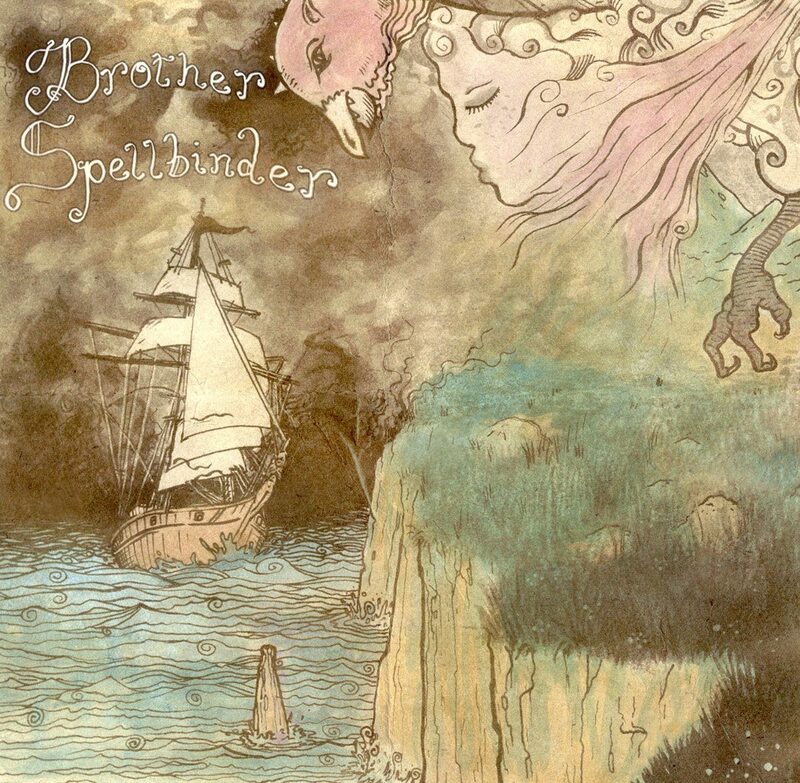 There is such a vibrant sound crafted here by Brother Spellbinder that single-handedly refreshes earlier genres and musical styles. Flicker keeps things interesting as Brother Spellbinder creates a duality here between the vocals and the guitars. Each side pushes the other to an entirely hbigher plateau, as the track keeps listeners firmly on the edges of their seats. A gradual increase in the tempo during Flicker gives the album enough of a boost to stay strong until its’ last gasp. Powerfully emotive flues give Flicker a sound considerably different from the other fare on When The Earth Was Still Flat. Josephine puts a nice bow on this release, but is important to understand where Brother Spellbinder may go on follow-ups to this release. A strong, insistent set of vocals responds to a sunny arrangement. The fanciful sound of this track is another strong effort on this album, but each of the tracks on this release are vital to understand the full range of approaches and styles that the band has in their arsenal. When The Earth Was Still Flat is available in digital and physical forms from Brother Spellbinder’s Bandcamp .